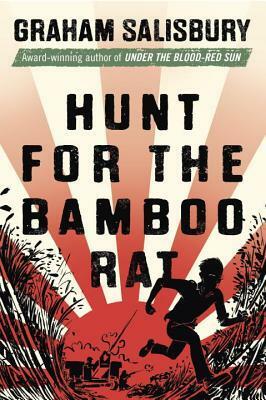 Based on a true story, this World War II novel by Scott O’Dell Award winner Graham Salisbury tells how Zenji, 17, is sent from Hawaii to the Philippines to spy on the Japanese. Zenji Watanabe graduates from high school in Hawaii and is recruited into the army as a translator because he speaks perfect Japanese. He is sent to Manila undercover as a civilian to gather information on the Japanese in the Philippines. If they discover his identity, he’ll be executed as a traitor. When captured, he maintains that he is an American civilian despite unthinkable torture. He also survives being lost in the jungle for months. Zenji’s time behind enemy lines is grueling, and his survival is a testament to the strength of the human spirit. This is the fourth book in Graham Salisbury’s highly acclaimed Prisoners of the Empire series, which began with the award-winning Under the Blood-Red Sun.